Tecno Camon X has been announced by the company ahead of its launch on the 5th of April 2018. The selfie focused smartphone comes with facial identification technology as its key specification. Apart from the improved selfie shooter, it has an adjustable front LED flash as well. With this feature, you get to adjust the front LED flash depending on the time of the day. The bezel-less smartphone is expected to be the best Camon smartphone from Tecno. But before we make that decision, lets see what it has to offer. 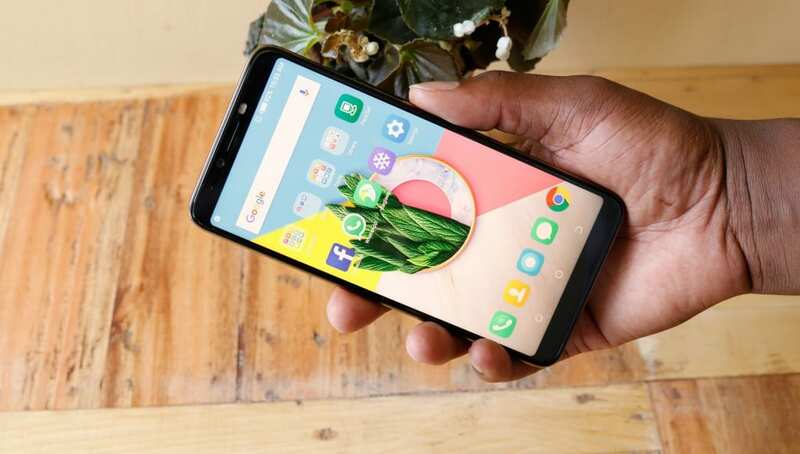 What is Tecno Camon X Price and Availability Status? Made completely from Aluminum Alloy and reflects light beautifully. This is by far the best looking Tecno smartphone, more attractive than the Phantom 8. Simple aesthetics going on at the back, the rear camera sits at the top left corner just below the curved antenna line at the top. The dual-LED Flash is in a horizontal position with the camera, sitting right beside it. There’s a rear fingerprint scanner on the device, which means Tecno won’t be going the iPhone X way of ditching the feature and opting for the more reliable Face ID. Just like the Camon CM, the Camon X literally expanded its horizon as well, sporting the bezel-less display. Although, compared to the aforementioned, the Tecno Camon X display stretches all the way to the sides. At the top bezel, we can see the selfie camera, speaker grille and the adjustable front LED flash. Focusing on the display now, the 6-inch FHD+ IPS LCD capacitive touchscreen is crystal clear and sharp. Boasting of 720 x 1440 pixels in resolution and 282 pixel per inch density, dishing breathtaking visuals and enough clarity. The Screen on the Tecno Camon X is protected by a Corning Gorilla Glass and stretches up to 81% screen to body ratio. Under the hood is the Mediatek Helio P23 MT6763T chip with Octa-core processor and 64-bit CPU architecture. The 8-cores of processor boasts of a speed of 2.0GHz with 16nm process technology as well. In the graphics department, the ARM Mali-G71 MP2 graphics processor is in charge. In terms of RAM and internal storage space, there are two versions, the standard version with 3GB RAM and 16GB storage space. Then there’s an upgraded version called Camon X Pro, that packs 4GB RAM and 64GB storage. The internal storage space on both versions is upgradeable up to 128GB with a memory card. The Tecno Camon X runs on Android 8.1 Oreo out of the box with HiOS 3.3. The 16MP rear camera is very powerful, with all the photos and videos we’ve seen taken with the device. There’s also a dual-LED Ring flash beside it and other features inside the camera for the best performance. While the 20MP selfie shooter comes with facial identification technology and an adjustable front LED flash. Powering the Tecno Camon X is a 3750mAh non-removable Li-Po battery with fast charging technology. With the fast charging feature, it shouldn’t take up to 2 hours to fully charge up the battery from 0% to 100%. The Tecno Camon X will be available immediately from April on Shopping stores starting from $199 (N60,000) to $249 (N80,000). Kenya from Ksh19,999 to Ksh24,999. Ghana from Ghc879.99 to Ghc1099.99. Click on the links above to view the latest Tecno Camon X price & availability on Shopping stores. Premium look. Premium device. It’s great. Good one. Near perfect phone and as it is with all Camon series..amazing camera specs.